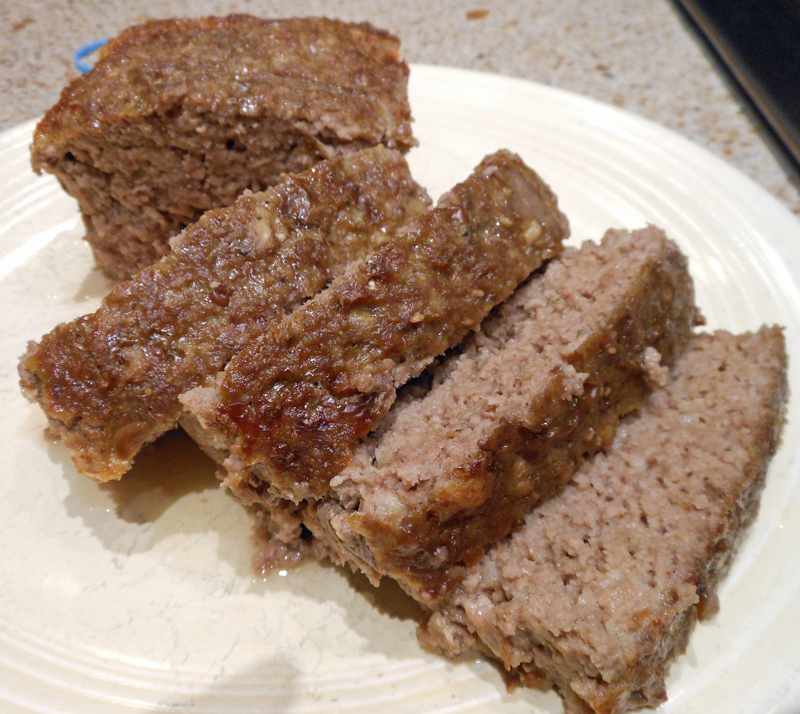 This is the best meatloaf. You can top it with the piquant sauce or just ketchup, if you like, but I don’t. You can make it in a large loaf pan or two small loaf pans. I like the large pan because it is the right size to slice the meatloaf for sandwiches later. If there is any left that is. Put all ingredients in a large bowl and mix well. Then put mixture in your large loaf pan or your two smaller loaf pans. If you’re using the sauce, put it on top of the mixture now. Recipe follows. Bake large loaf for about 1 hour and 15 minutes or the smaller loaves for 45 minutes and temperature is 160 degrees. Combine all together and put on top of meatloaf. Variation: 2 lbs. ground beef, 3 eggs, 1 cup milk, 1 cup fine crumbs, and 1 1/2 tsp. onion salt.